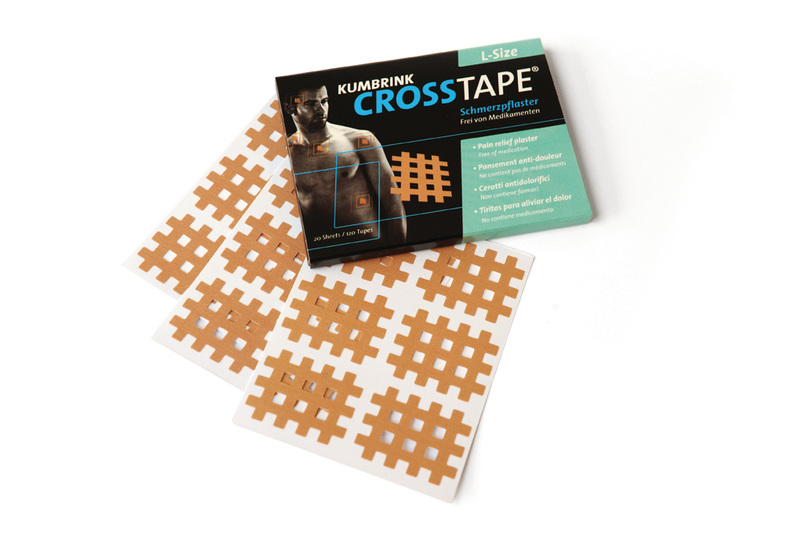 KUMBRINK-CROSSTAPE® for Crosspuncture® Therapy can be used for trigger points, local points of pain, tense muscles, painful joints and many more indications. Crosstape® is used to stimulate selected acupuncture points, enabling an acupuncture-like treatment without the use of needles. 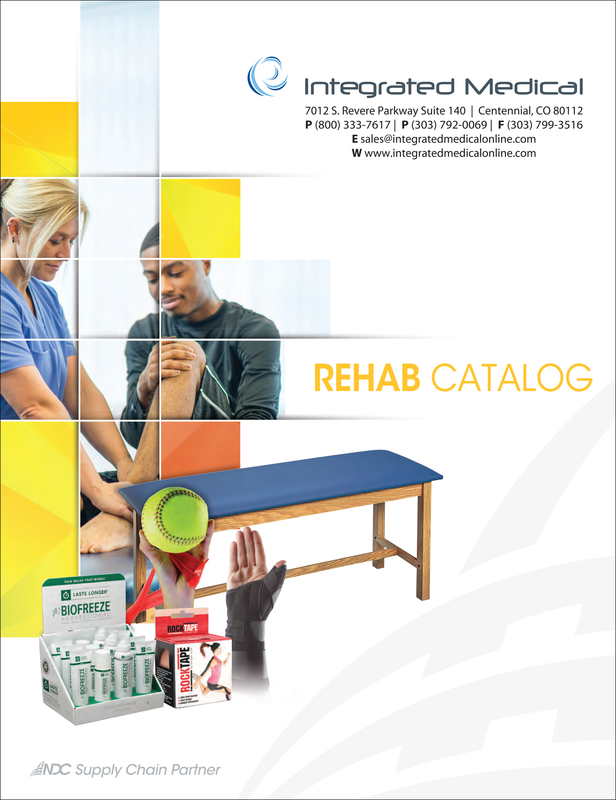 When pulled off the backing paper, Crosstape® is charged up electrostatically so that they are suitable for Crosspuncture® Therapy. 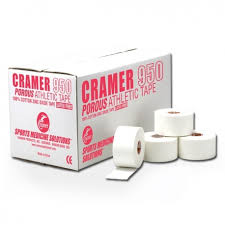 This means that the tape has a surplus of electrical charge once pulled off the backing paper that cannot discharge by itself. Once the Crosstape® has been charged in this manner, it is applied to the skin to stimulate the areas of pain and acupuncture points where it slowly releases its electrical charge. 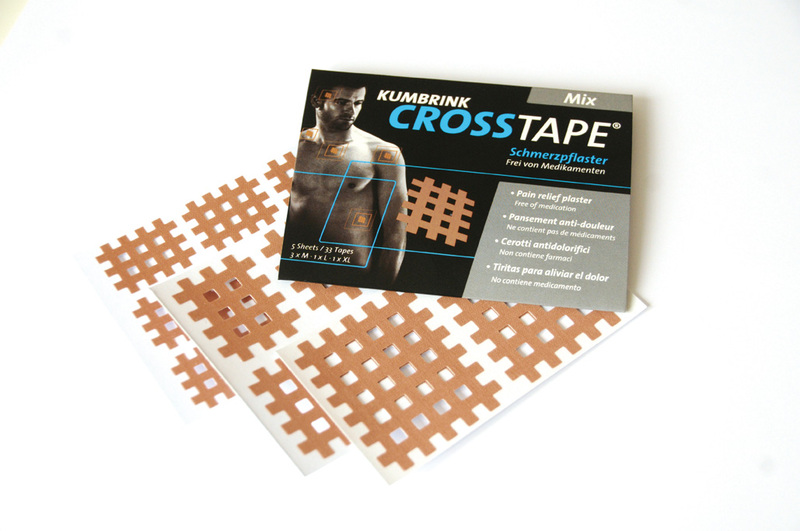 Crosstape® is made of dual mixed fibres and is attached to a specially coated backing paper. 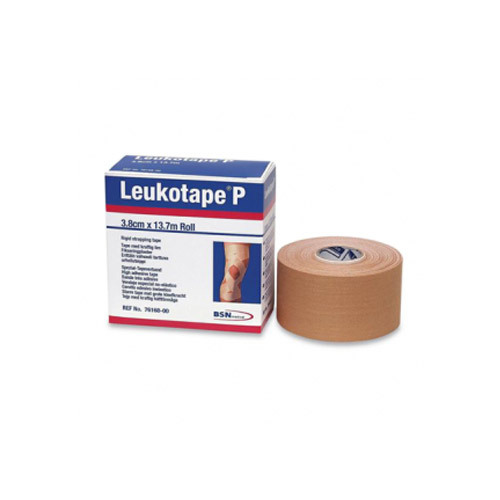 When pulled off the backing paper, the tape is charged up electrostatically so that they are suitable for Crosspuncture® Therapy. 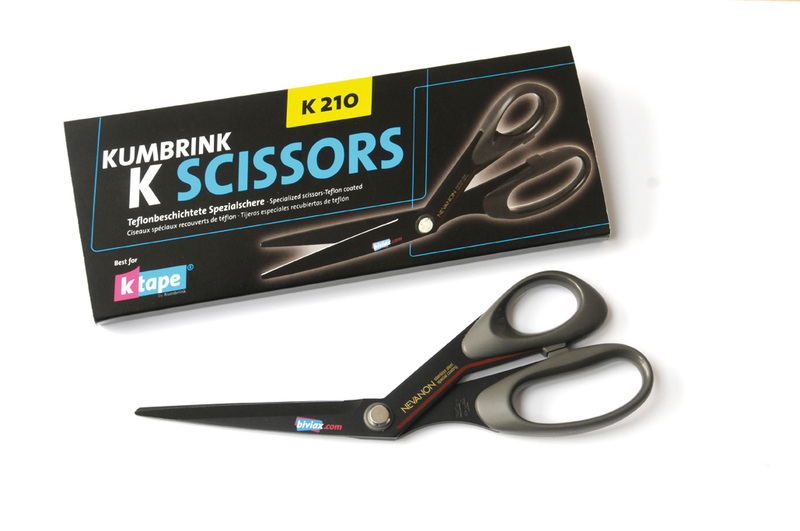 This means that the Crosstape® has a surplus of electrical charge once pulled off the backing paper that cannot discharge by itself. Once the Crosstape® has been charged in this manner, it is applied to the skin to stimulate the areas of pain and acupuncture points where it slowly releases its electrical charge. 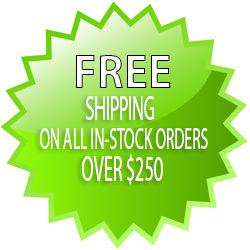 Crosstape® does not contain medication and active ingredients. 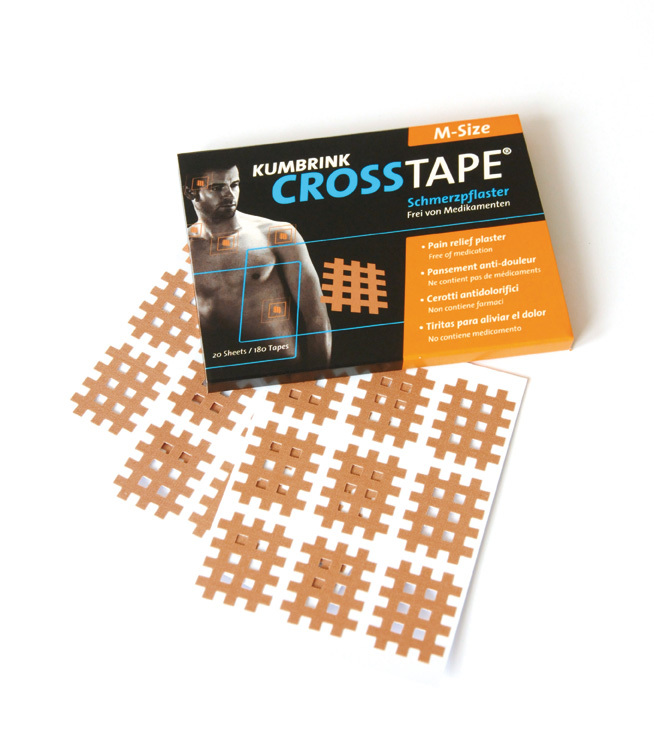 Crosstape® is water-resistant and can be worn for several days. 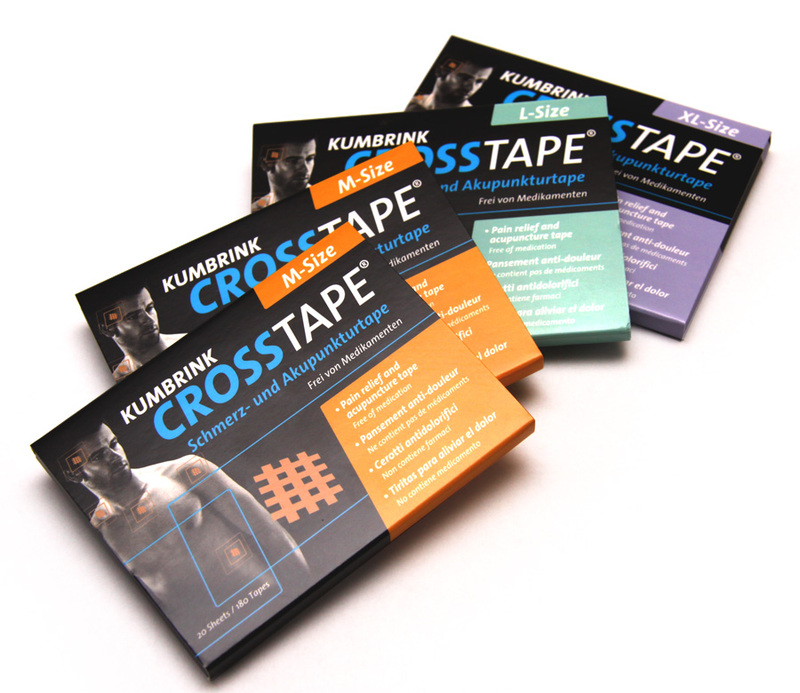 KUMBRINK-CROSSTAPE® is a fundamental component of the Crosspuncture® Therapy. 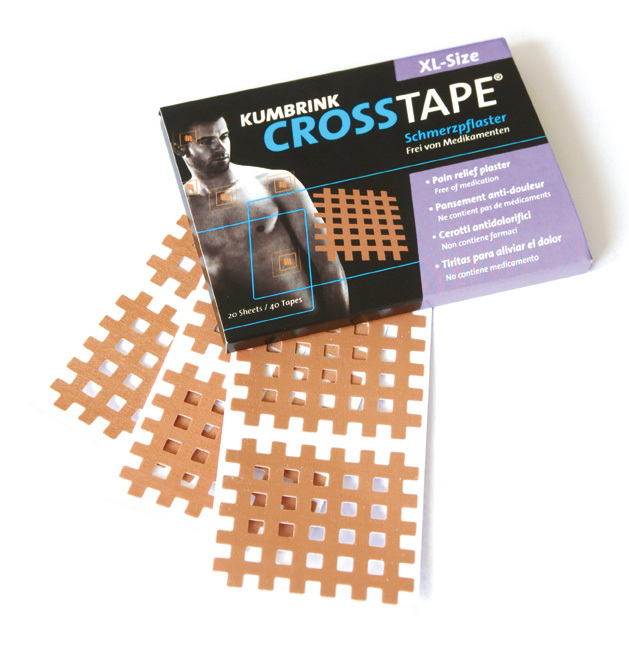 Be the first to review “Kumbrink Crosstape® for Crosspuncture®” Click here to cancel reply.